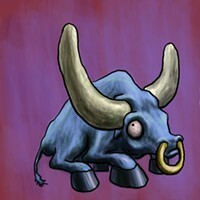 Aries, now is a favorable time to initiate big, bold projects, but not foolish, big, bold projects. ARIES (March 21-April 19): A few years ago, a New Zealander named Bruce Simpson announced plans to build a cruise missile at his home using parts he bought legally from eBay and other online stores. In accordance with current astrological omens, I suggest you initiate a comparable project. For example, you could arrange a do-it-yourself space flight by tying a thousand helium balloons to your lawn chair. APRIL FOOL! I lied. Please don't try lunatic schemes like the helium balloon space flight. Here's the truth: Now is a favorable time to initiate big, bold projects, but not foolish, big, bold projects. The point is to be both visionary and practical. 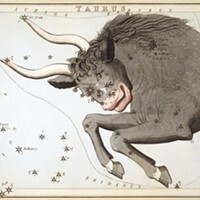 TAURUS (April 20-May 20): The Finnish word *kalsarikännit* means getting drunk at home alone in your underwear and bingeing on guilty pleasures. It's a perfect time for you to do just that. The Fates are whispering, "Chill out. Vegetate. Be ambitionless." APRIL FOOL! I told a half-truth. In fact, now is a perfect time to excuse yourself from trying too hard and doing too much. You can accomplish wonders and marvels by staying home and bingeing on guilty pleasures in your underwear. But there's no need to get drunk. GEMINI (May 21-June 20): Actor Gary Busey is very sure there are no mirrors in heaven. He has other specific ideas about the place, as well. This became a problem when he was filming the movie *Quigley,* in which his character Archie visits heaven. Busey was so enraged at the director's mistaken rendering of paradise that he got into a fist fight with another actor. I hope you will show an equally feisty fussiness in the coming weeks, Gemini. APRIL FOOL! I lied, sort of. On the one hand, I do hope you'll be forceful as you insist on expressing your high standards. Don't back down! But on the other hand, refrain from pummeling anyone who asks you to compromise. LEO (July 23-Aug. 22): Paul McCartney likes to periodically act like a regular person who's not a famous musician. He goes grocery shopping without bodyguards. He rides on public transportation and strikes up conversations with random strangers. I think you may need to engage in similar behavior yourself, Leo. You've become a bit too enamored with your own beauty and magnificence. You really do need to come down to earth and hang out more with us little people. APRIL FOOL! I lied. The truth is, now is prime time to hone your power and glory; to indulge your urge to shine and dazzle; to be as conspicuously marvelous as you dare to be. VIRGO (Aug. 23-Sept. 22): The coming days will be an excellent time to concoct an alchemical potion that will heal your oldest wounds. For best results, mix and sip a gallon of potion using the following magic ingredients: absinthe, chocolate syrup, cough medicine, dandelion tea, cobra venom, and worm's blood. APRIL FOOL! I mixed a lie in with a truth. It is a fact that now is a fine time to seek remedies for your ancient wounds. But the potion I recommended is bogus. Go on a quest for the real cure. SCORPIO (Oct. 23-Nov. 21): There's a narrow waterway between Asia and Europe. In the fifth century B.C., Persian King Xerxes had two bridges built across it so he could invade Greece with his army. But a great storm swept through and smashed his handiwork. Xerxes was royally peeved. He ordered his men to whip the uncooperative sea and brand it with hot irons, all the while shouting curses at it, like "You are a turbid and briny river." I recommend that you do something similar, Scorpio. Has Nature done anything to inconvenience you? Show it who's the Supreme Boss! APRIL FOOL! I lied. The truth is, now is an excellent time for you to become more attuned and in love with a Higher Power, however you define that. What's greater than you and bigger than your life and wilder than you can imagine? Refine your practice of the art of surrender. SAGITTARIUS (Nov. 22-Dec. 21): Fifteenth-century Italian painter Filippo Lippi was such a lustful womanizer that he sometimes found it tough to focus on making art. At one point, his wealthy and politically powerful patron Cosimo de' Medici, frustrated by his extracurricular activities, imprisoned him in his studio to ensure he wouldn't get diverted. Judging from your current astrological omens, Sagittarius, I suspect you need similar constraints. APRIL FOOL! I fibbed a little. I am indeed worried you'll get so caught up in the pursuit of pleasure that you'll neglect your duties. But I won't go so far as to suggest you should be locked up for your own good. 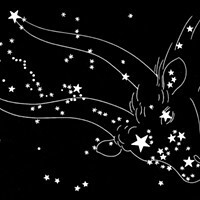 CAPRICORN (Dec. 22-Jan. 19): Now is a favorable time to slap a lawsuit on your mom in an effort to make her pay for the mistakes she made while raising you. You could also post an exposé on social media in which you reveal her shortcomings, or organize a protest rally outside her house with your friends holding signs demanding she apologize for how she messed you up. APRIL FOOL! Everything I just said was ridiculous and false. The truth is, now is a perfect moment to meditate on the gifts and blessings your mother gave you. If she is still alive, express your gratitude to her. If she has passed on, do a ritual to honor and celebrate her. AQUARIUS (Jan. 20-Feb. 18): Aquarian author Alice Walker won a Pulitzer Prize for her novel *The Color Purple. * She has also published 33 other books and built a large audience. But some of her ideas are not exactly mainstream. For example, she says that one of her favorite authors is David Icke, who asserts that intelligent extraterrestrial reptiles have disguised themselves as humans and taken control of our planet's governments. I bring this to your attention, because I think it's time that you, too, reveal the full extent of how crazy you really are. APRIL FOOL! I half-lied. While it's true that now is a favorable time to show more of your unconventional and eccentric sides, I don't advise you to go full-on whacko. PISCES (Feb. 19-March 20): Warning! Danger! You are at risk of contracting a virulent case of cherophobia! And what exactly is cherophobia? It's a fear of happiness. It's an inclination to dodge and shun joyful experiences because of the suspicion that they will disappoint you or cause bad luck. Please do something to stop this insidious development. APRIL FOOL! I lied. The truth is that you are currently more receptive to positive emotions and delightful events than you've been in a log time. There's less than a one-percent chance you will fall victim to cherophobia.